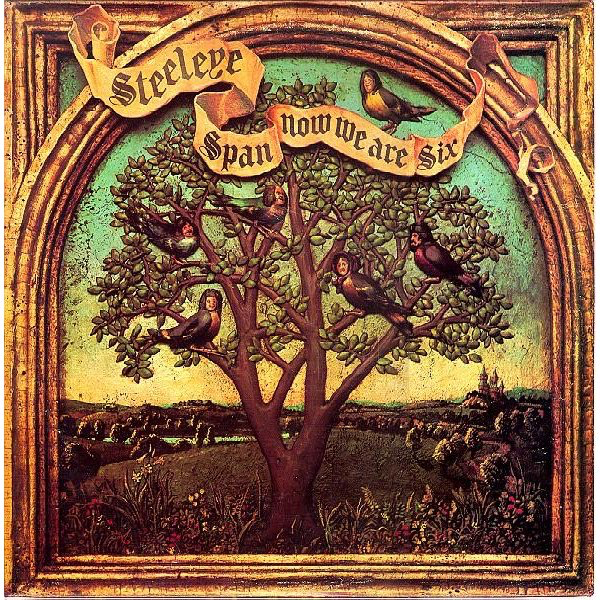 This is album marks even more of a sea change for Steeleye Span. Having produced a true electric folk rock classic in the previous year's "Parcel Of Rogues" they now went into full rock band mode by adding rock drummer Nigel Pegrum to their five members, hence the title borrowed from A.A. Milne's "Winnie The Pooh". It is a "curate's egg" of an album (good in parts, as the phrase supposedly means, but I have never understood why). There is some truly excellent material on here, but there also a few examples of indulgent drivel, possibly the result of some inebriated time in the studio, or possibly just a gross misjudgement (the group have admitted to both, I believe). So, the album gets halfway to being the full on folk rock album it set out to be. The follow-up, "Commoner's Crown", did the job far more effectively, but the good stuff on this album cannot be ignored. "Seven Hundred Elves" is a good start. A fast paced, full band backed slightly unnerving tale of woodland elves coming from out of the woods to take their revenge on the callous farmer who chopped down the trees in the wood, destroying their habitat. "Drink Down The Moon/Cuckoo" starts as a slow, beautiful ballad highlighting Maddy Prior's voice and ends as an upbeat, violin jig with lyrics about the cuckoo and its proclivities for squatting in other birds' nests. 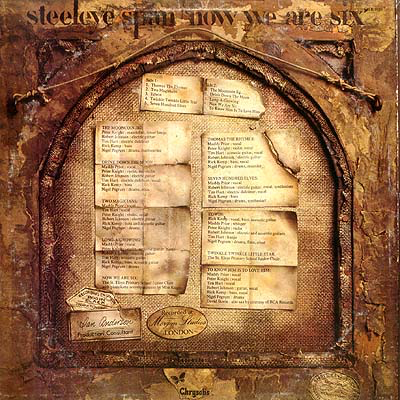 "Now We Are Six" is the first of two unforgivable songs where the band, inexplicably, put on high child-like voices and try to sound a children's choir. They just about get away with it on this one, as it is not a bad song, but only just. "Thomas The Rhymer". 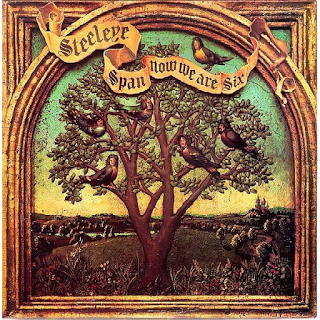 Now, that's more like it - a true Steeleye Span classic. Adapting the folk legend of "Thomas The Rhymer", a Scottish Borders character from a village called Earlston (where he is commemorated to this day) who has dalliances with the Queen of Elfland. The song undergoes many changes in pace and ambience. Some slow, haunting build up lead in and out of the heavy electric guitar riff of the rousing "harp and carp, come along with me" chorus and we get to hear Nigel Pegrum's true value on the drums for the first time. Then it is back to the insistent build up to the final chorus, with Maddy Prior on fine form - "don't you see yon bonny, bonny road....". Great stuff. "The Mooncoin Jig" is a fiddle and mandolin dominated and highly appealing instrumental, Irish-style jig. Enjoyable, as these jigs always are. "Edwin" is a narrative rock and violin chugger of a song, sung on lead by Peter Knight concerning, it would seem, the killing of a young man, Edwin, by the parents of his young lover and the grief of the young girl, Emma, for her lost love. A seriously heavy guitar riff right at the end, hinting at the band's new direction. "Long-a-Growing" is a sad tale, sung beautifully by Maddy Prior of a young man who wishes to grow to win his maiden's love, he does indeed grow, marries, has a child, then dies at eighteen. A tragic tale, as many of these traditional folk tales are. The lively "Two Magicians" is a traditional, very "folky" song with a tongue-twisting chorus and a tale of a young girl who doesn't fancy the idea of losing her maidenhead to a grubby, dusty blacksmith and ends up becoming a nun. Some killer violin from Peter Knight too. "Twinkle Twinkle Little Star" is the other big "children's voices" mistake. Unlistenable. What were they thinking? They have since admitted the same thing. "To Know Him Is To Love Him" is a strange ending to what could have been a corker of an album. A cover of The Teddy Bears' Phil Spector-produced late 50s hit, featuring, surprisingly, David Bowie on saxophone. Despite that, it's not great, to be honest.